From bottle to beaker. When your toddler is transitioning to independence from a bottle to a drinking cup, you need to be confident they can master the new skills needed without lots of spills! The Philips AVENT Sip - Grown Up Cup has a revolutionary valve that your toddler activates simply by sucking anywhere on the rim, with a similar action to an open cup. No need for spouts or straws. Your child will feel like a very big boy or girl whether on the go or in your home, and you can relax as the same valve is designed to be spill proof. 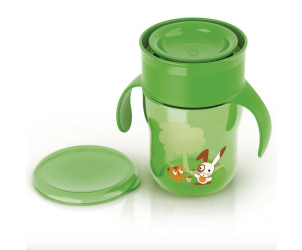 There is a protective hygiene lid too made from the same BPA free material as the cup. 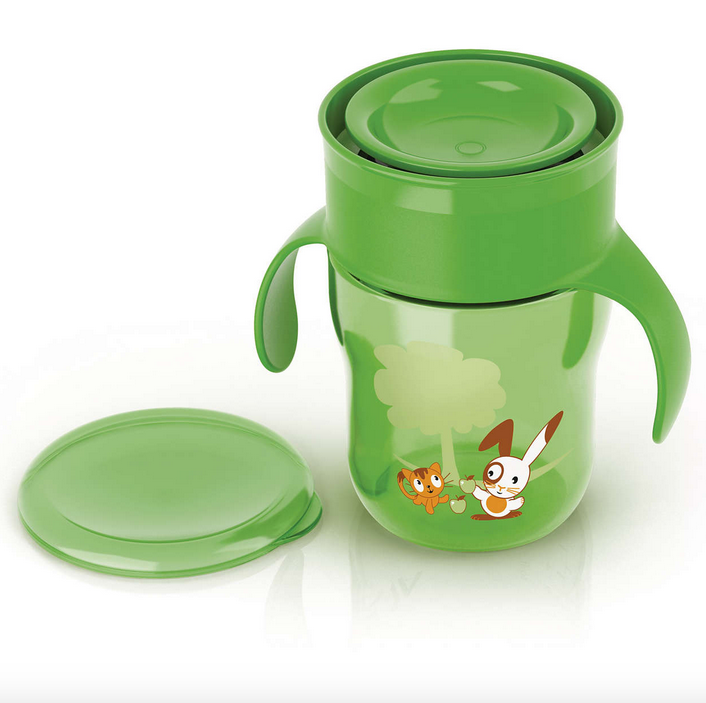 Complete with trainer handles to give steady confidence to little ones whilst drinking.